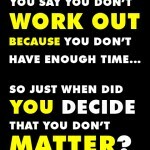 ← EVERYONE Has Time For Fitness! Weight loss is one of the most-searched phrases online, along with losing weight, weightloss, etc. Yet the truth is that people should be focused on reducing fat, not losing weight. That may just sound like semantics, but it isn’t – it’s an important distinction that can greatly affect your overall health and fitness! Look at it this way… If all you want is to lose weight, that can be accomplished by reducing water retention, lowering the volume of food currently in your digestive system or lowering your protein intake to let your body cannibalize your existing muscles. None of those 3 are healthy, none burns off any of your bodyfat, and all 3 are short-term solutions. At the opposite end of the scale, burning fat through exercise while eating a nutritious, healthy diet can shed a lot of bodyfat, but since muscle is much denser than fat, your weight may well go up! Many women in their 30’s and 40’s have hit the gym to recover their shape and healthy body after having children. They quickly shed inches off their waists, hips and butts, often getting into the best shape of their lives – then are surprised to note that their weight has actually increased, not decreased! They haven’t built big, bulky muscles; due to lower testosterone levels most women will never build muscles to the size men can. 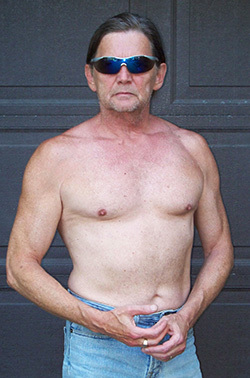 But while they’ve lowered their bodyfat levels, their increased muscle density weighs more than the fat they’ve lost. It’s never a concern though, since they look and feel so much better, are much healthier and have far more energy for everything else they do each day. 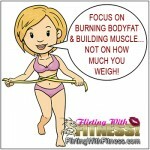 And the renewed confidence and positive self-image are great bonuses that come with being fit and healthy. Compare that to the women who are constantly yo-yo dieting, trying extreme calorie-reduced diets and taking all sorts of pills and potions supplied by the weight loss industry. Not only are they not losing the bodyfat of the first group, but their moods, energy and self-images are suffering right along with them making their daily lives a living hell – all in an attempt to reach some magic number on their bathroom scale. 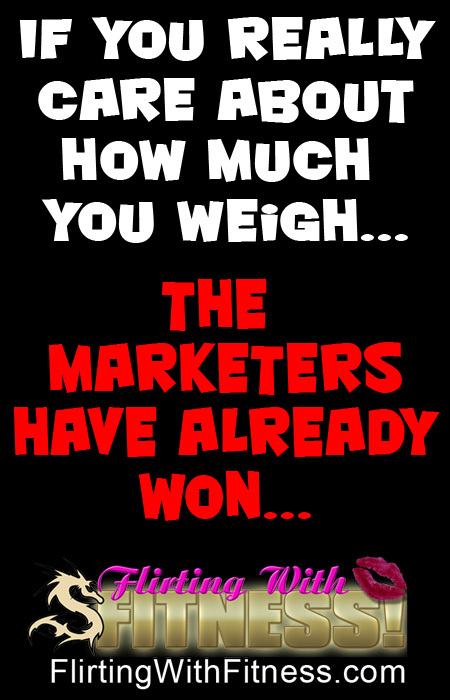 Here’s a point to ponder… If all those weight loss schemes and products actually worked, how long would the companies promoting them be in business? From a marketing standpoint, their best interests are served by giving you noticeable, measurable results that don’t last! After all, if it worked the first time it will work again and again, won’t it? And now they have you locked into the cycle, staying at the weight you want only as long as you keep buying their products or plans. Throw out the scale, base your choices on what makes you healthier and follow a nutrition and exercise plan that shaves off those extra inches while improving your health along the way. Base your results on how your clothes fit, how your skin and hair look and how much energy you have on any given day. You’ll be happier with yourself and your new look and will be taking charge of your own destiny, cutting off the influence of those marketing their weightloss tricks! EVERYONE Has Time For Fitness! This entry was posted in Weight Loss and tagged bodyfat, exercise, fitness, health, losing weight, reducing fat, weight loss, weightloss. Bookmark the permalink.